Tiny Spencer "Commemorative Special" ""$500.00"" ""MONTH OF MAY SPECIAL"" Custom Hand Carved Deer Stag Handle Gut Hook Skinning Knife Like New Condition "Reg. Price $1200.00" FROM MY PERSONAL COLLECTION "Like New Condition Never Carried" Thank you and good luck!! Tiny Spencer "Commemorative Special" ""$500.00"" ""MONTH OF MAY SPECIAL"" Custom Hand Carved Deer Stag Handle Gut Hook Skinning Knife New In Mint Condition "Reg. Price $1200.00" FROM MY PERSONAL COLLECTION "Like New Condition Never Carried"
Tiny Spencer Is gone but his Legacy lives on! Tiny passed away August 2009. He will be so missed buy the many collectors that acclaimed him one of the very best in the industry over the years may he rest in peace! Tiny Spencer Presents this beautiful Custom Made beautiful Hand Carved Deer Stag Handle Gut Hook Skinning Knife there is a hand carved Moose likeness on one side of the handle and the other side has a hand carved Caribou fancy engraved scroll work one both Solid Brass pommel and guard Overall length 8-1/2" with a 3-1/2" Gut Hook Blade comes in a glass lid display box 11-1/2"x4"x2", come with a Tiny Spencer Profile & Knife Care card and a Jewelers Polishing Cloth!! Tiny Spencer started making knives as a hobby in 1965 after master knife maker Gil Hibben rented work space in Tiny's taxidermy shop. Tiny has been a professional; full time knife maker for over 30 years. A resident of Alaska for 25yrs he worked as a taxidermist guide/outfitter and bush pilot. He divided his time between Alaska and the north Oregon Coast. Tiny's knife blades are relief ground and Rockwell hardened to 58. He works exclusively with 440C stainless steel preferring its stain resistance strength and ability to maintain a sharp edge. 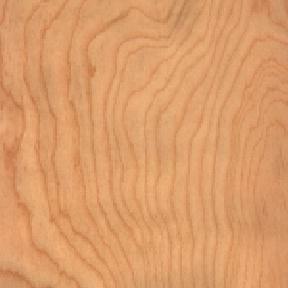 Brass guards and pommels are hand-filed and hand-shaped. Tiny's trademark handle material are a variety of Garnered Fossil's found in the Alaskan Tundra by Alaskan Eskimo and Indians Fossil walrus, Woolly Mammoth and hand carved shed Elk Horns and Deer Stag. Tiny hopes you enjoy your knife as much as he enjoyed making it..
"Don't Let This Treasure Get Away" "Like New Condition! 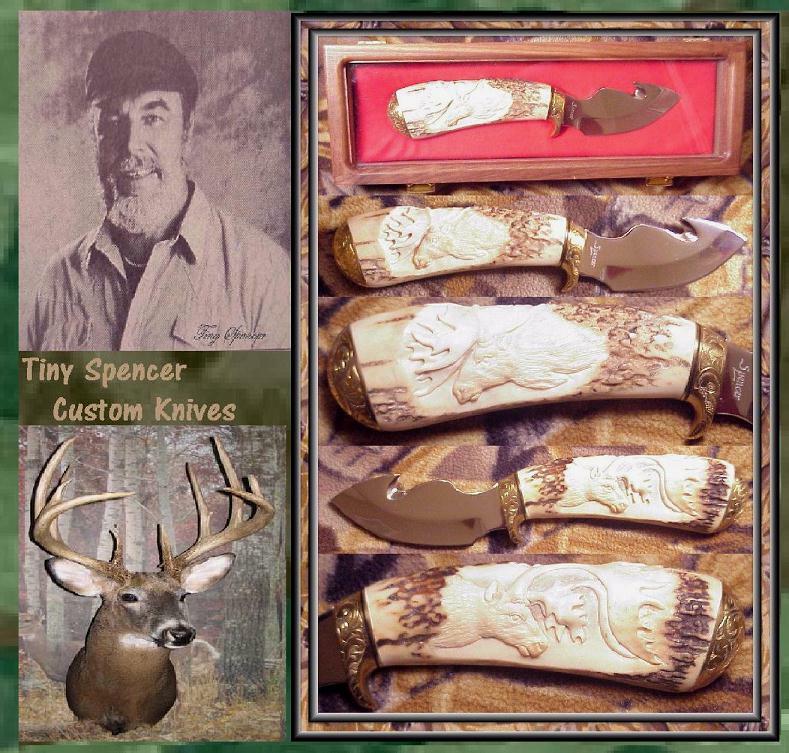 "Comes With a Glass Lid Display Box"
Tiny Spencer "Commemorative Special" ""$500.00"" ""MONTH OF MAY SPECIAL"" Custom Hand Carved Deer Stag Handle Gut Hook Skinning Knife Like New Condition "Reg. Price $1200.00" FROM MY PERSONAL COLLECTION "Like New Condition Never Carried"
Buyer to pay $12.00 USPS EXPEDITED Shipping in U.S.A ONLY. Items will be shipped as soon as payment is verified . I'll combine multiple item bids to help you save on shipping costs.I'll combine multiple item bids to help you save on shipping costs. Thank you for looking and good luck on your bid/s.